You’ve worked hard all year to gain some health benefits. 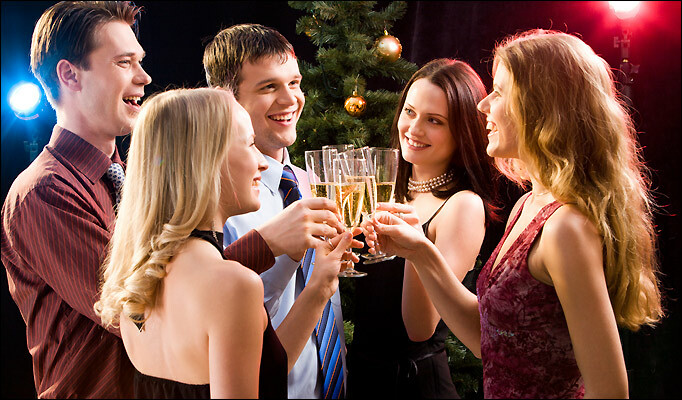 What are you doing during the party season to safeguard those benefits? You’re invited to numerous parties, you’re hosting events, then there’s the big dinner day – it’s time to strategize. Eating a small snack like a handful of almonds will give you some calories, fibre and healthy fat to keep most hunger pangs at bay and guard against overindulging in all the wrong foods. Bringing a healthy dish to your next Christmas party will help not only you, but other guests as well who are looking for a healthy alternative. The usual pastries, chocolates, high-fat hors d’oeuvres, and martinis will all be there and if you have a healthy alternative, you will be less likely to overindulge in the less healthy dishes. Implementing portion control is a wise strategy. If you tell yourself before the party that you will have a small sampling of a few food items and then stop before your waist starts pushing uncomfortably against your pants, you will have beaten the party fare at their own game. You will continue to look good in your party outfit and you will feel good too – no bloating, no rising muffin top issues. Focusing on the fruit and veggie plates will help fill you with fibre, nutrients (you won’t get that in the pastries), and lower calories - all the ingredients to keep you from overindulging in the other stuff. Limiting high fat items is another great strategy. High fat items usually mean saturated fats and trans-fats. 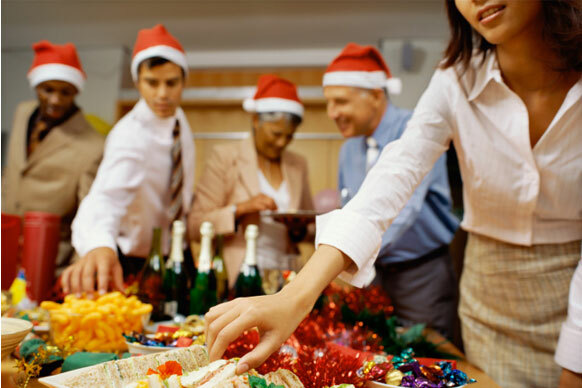 If you’re looking to keep the health benefits you’ve gained this year then it’s time to assess the food choices at your party and choose to say no to a second round of shortbread, cakes, pastries, cheesy hors d’oeuvres, and high fat dipping sauces. Another tip is to try socializing away from the food tables to reduce the amount of mindless nibbling between conversations. Parties are all about the social aspect and not eating until you pop, so focus on the people, the great conversations, and catching up with old friends. Food and great conversation go hand in hand, but when you’re caught up in a conversation, you may lose track of how many of those cute little fatty treats you just put in your mouth. So move away from the food tables and focus on your friends. For all you strategists out there, write down everything you eat and drink. This is the best after-party assessment tool to help you figure out which areas you need to improve before heading out for your next bout of Christmas cheer. When you get on the scale at the end of the week and wonder where all the pounds came from, it will be right there in black and white and you will be able to make adjustments based on previous behaviour. One final word: parties are meant to be enjoyed and that means a little bit of indulgence. If all else fails, use the 80/20 rule. Eighty percent of your food for the day should be healthy nutritious choices with a minimal amount of processed foods and the other 20 percent can be little indulgences in the form of party foods and Christmas cheer.